You may have noticed that the eBook page on our website has changed a bit. This June and July we’re going through a transition when it comes to eBooks as a result of changes in the state budget regarding libraries. Categories: Audiobooks, Books, e-books | Tags: Axis360, Biblioboard, ebooks, Libby by OverDrive, overdrive | Permalink. With a new look for our Overdrive website in February (same great content, slightly different look), I thought that I’d give a refresher on all the amazing ways that you can get both eBooks and eAudiobooks. We’ll start with the most well-known eBook and eAudiobook provider. Biblioboard is a part of the Commonwealth eBook Collections as well. It has everything from the For Dummies series to a good portion of the Dark Horse Comics Graphic Novels to many many Primary Sources and Historical Documents. All Available through your browser or their App. 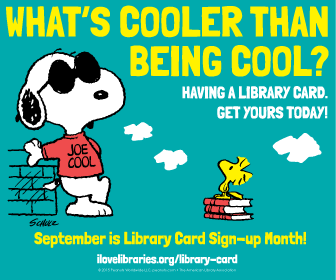 Remember all you need to access all these awesome resources is a Nevins Library card and something to read/listen to them on. And, in most cases, that can even be your computer!! And if you have questions about using any of the above resources (or our other Online Resources) come see us up at the Reference Desk and we’ll try and get you all set up!! Categories: Audiobook, Audiobooks, Databases, e-books | Tags: Axis360, Biblioboard, books, eaudiobooks, ebl, ebooks, overdrive, Safari | Permalink.